One of the main pressures bearing down on Print and Packaging organisations around the world is satisfying the constant demand for talented staff. It’s unrealistic to expect the most talented candidates to be looking for a new role at the same time you are hiring. Often the most talented candidates are happily engaged in employment elsewhere. We call these candidates “passive candidates”. A passive candidate is someone who is employed and not looking to change their job, but who may be open to being approached. Approximately 45 percent of the current workforce are considered passive candidates who are happy to have discussions – with the right people. 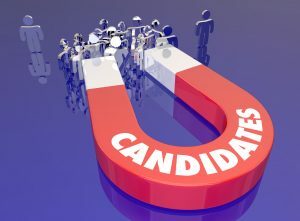 Let’s examine the most effective methods of attracting passive candidates. Using an in-house employee referral programme is one of the most effective methods of recruiting passive candidates. An employee referral programme also increases in-house talent retention, because existing staff are actively promoting the company to friends, family and networking contacts. Passive candidates respond well to referral programmes, in no small part due to the credibility of their in-house contact. Also find a good specialist recruiter who knows your sector and has a good network. They will be an invaluable source of passive candidates if they have authority in their marketplace and will give you access to the very best passive candidates. One of the first things approached passive candidates will do is Google your organisation and look you up on social media. Make sure your recruitment page is up to date, easy to navigate and shares the strength of your branding and company culture. Your recruitment page also needs a clear call to action, and your current career opportunities must be easily visible. Remember, talented candidates are looking for more than an attractive remuneration package. They’re looking for a company they connect with. Updating your social media feeds with information about company culture and branding creates a dynamic landing platform for the passive candidate when they look you up. Professional discretion and rock solid reliability will ensure a passive candidate discusses their possibilities with you in greater depth and detail. It can be stressful discussing a possible – and unexpected – new career opportunity. Make it clear to your candidate up front that you’ll never ring or email using their current work contact details, and you are of course happy to meet and interview outside normal working hours. A clever on-going, strategy is to ensure that you attend networking events and build up a steady stream of passive candidate contacts, to be used at a later date. It’s good policy to network whether you are recruiting for a particular role or not. If you use networking as a long range plan of action you build contacts slowly and establish trust with each of your candidates. Professional networking sites such as LinkedIn are a great way to stay in touch. When you find an ideal passive candidate, make sure you do your homework. Taking the time to research a candidate properly is worth its weight in gold. It’s extremely flattering for a passive candidate to be approached, particularly with some visible progress already made into understanding their current circumstances. First impressions are powerful. If you want to win the war for talent in the Print and Packaging sectors, carefully thought out strategies such as these make all the difference. Athena Executive Search. If you are serious about attracting and retaining the best talent in the Print and Packaging sectors Athena can help. Our 7 Step Recruiting System is designed to ensure that you can recruit and retain the top 15% of candidates in the Print and Packaging market, candidates who are motivated by much more than money. We work in partnership with our clients to fully understand their requirements and ensure that newly recruited staff are joining for the right reasons and looking to develop a long-term career.